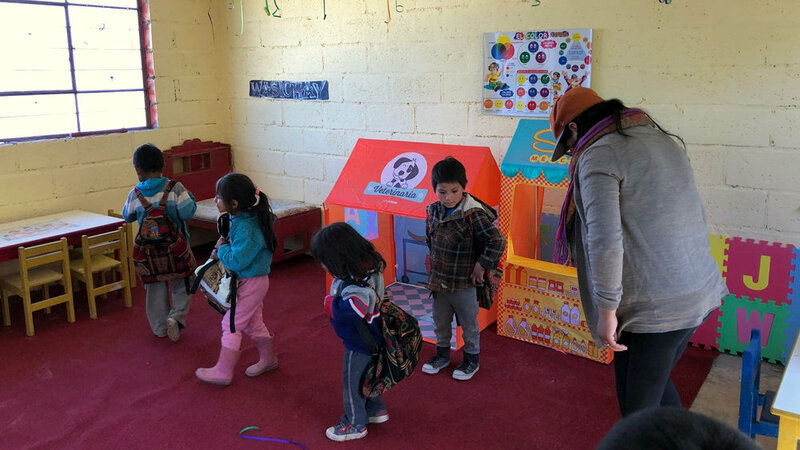 The community of Ccoripampa, a rural village in Southern Peru, was in dire need of having their partially-built kindergarten complete and ready for children. 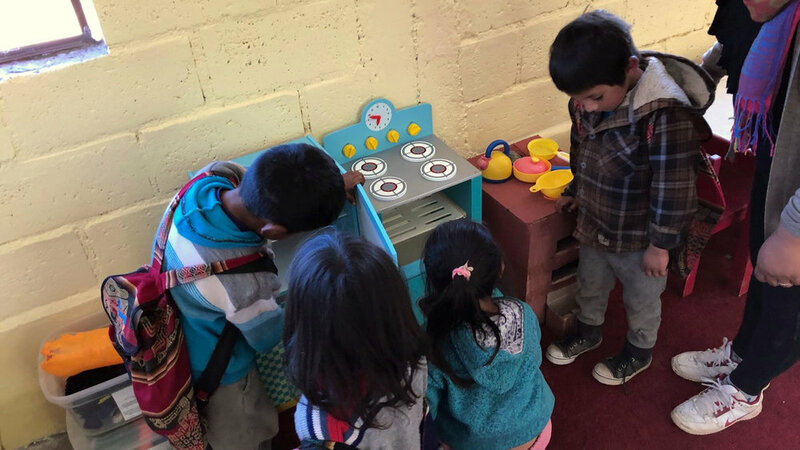 An empty, concrete block room was transformed into a beautiful place for these much-deserving children to learn and grow. 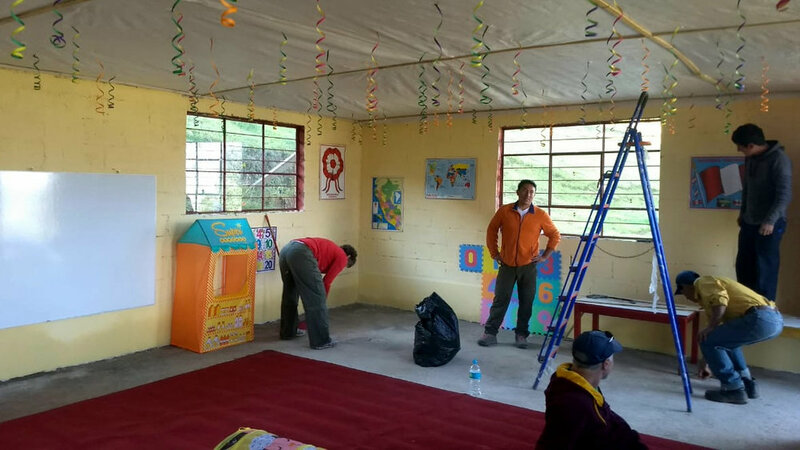 And with the completion of the school, the community is expecting about 30 kindergarteners to attend next year. "It was delightful to watch their curiosity and excitement throughout the project (as well as their teacher’s). The community enthusiasm and gratitude was overwhelming!" Many came out to celebrate its completion. There were recitations from both students and community members, singing, and dancing, culminating with a wonderful meal the whole community participated in. 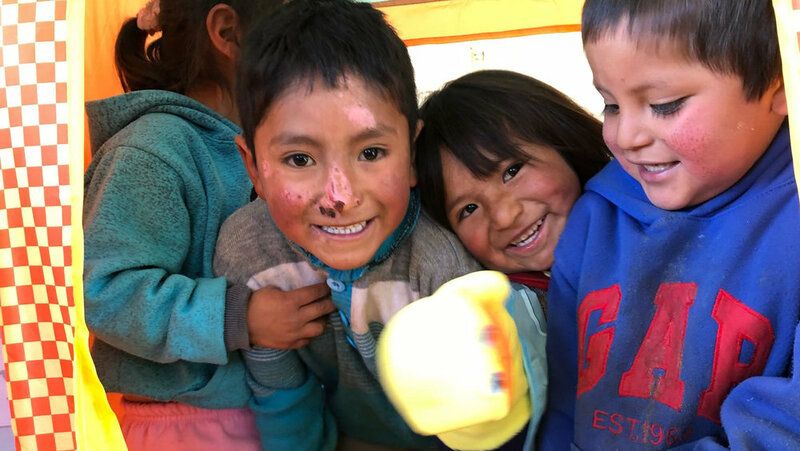 The new wash station will have a huge impact on helping these children stay clean and healthy as they thrive in their new learning environment. And the students were thrilled with their very own new backpack packed with school supplies they can use immediately! Mission McNeill has made a significant impact on this small community for years to come. The final project cost has not been finalized but it's estimated at $2,700 (as of 6-10-18), helping 30 students. Here is a list of what Mission McNeill completed: installed five windows (steel and glass); installed one front door (steel); installed a false ceiling over the entire classroom; constructed a 2-foot high cement baseboard around perimeter of classroom; painted the window frames and door; applied two coats of primer and two coats of color to inside of classroom; provided many classroom learning aids including large white board; hand puppets, imaginary play items (stove, refrigerator, veterinary office, mercado), large floor construction tiles (ABCs, 123s), nylon tunnel, a large mirror, posters, decorations, etc. ; handed out backpacks with school supplies to the entire student body (5 kindergarteners and 15 primary students); installed a wash station by the new kindergarten classroom, including trenching for access to water/drainage; and began moving some playground equipment from the lower campus to the new kindergarten site.